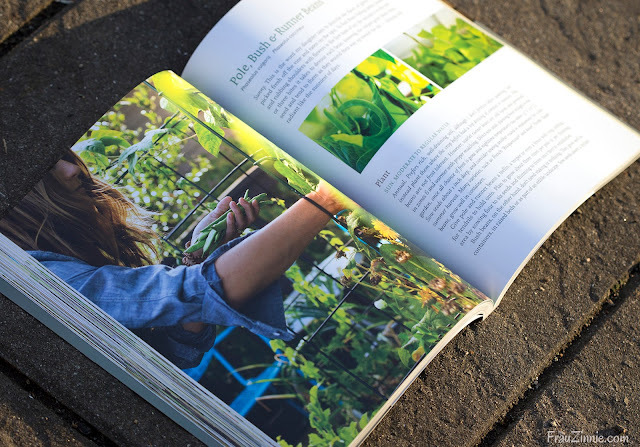 It’s only fitting that a gardening book that encourages you to grow what you love is released so close to springtime, when anything seems possible. Author Emily Murphy affirms just that — anything is possible when you take a little time out of your day to tend a garden, filled with plants that bring you joy. Emily’s colorful photography and accessible text guides the novice and experienced gardener to consider a different path when growing things – to grow what you love and fit it in to the modern lifestyle. “I’ve found in my life and work that we’re wired to grow. But I’ve also discovered that somewhere along the way these things — planting seeds, digging, and harvesting — have been lost to more than a few of us,” she said. I was already intrigued months ago when I learned that Emily of Pass the Pistil was publishing her first book, "Grow What You Love: 12 Food Plant Families to Change Your Life" — and I've been eagerly waiting its release. The book instantly comes alive as you read the first few pages. 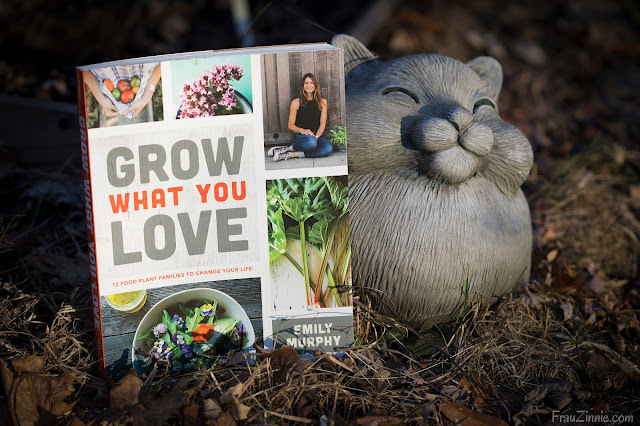 I felt as if I was sitting across from Emily, as I read (in her conversational tone) how her book is more than just about gardening or food-making: "It's about cultivating joy and growing all parts of your life." Emily’s wish to build beauty and joy into everyday living is evident throughout the book. Her book is divided up into three main sections, with beautiful photography illustrating her words and weaving together the basics of tending a garden to yield magical results. 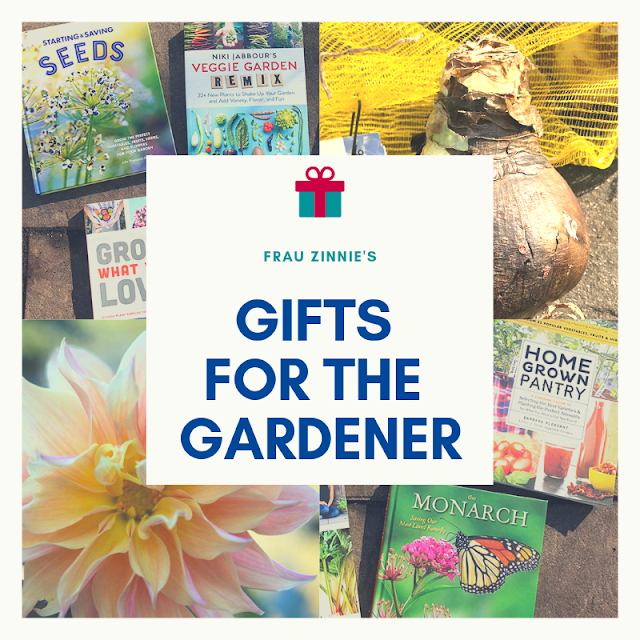 Gardening books sometimes fall neatly and squarely into one category: either it's directed at the beginner gardener or it’s an expansive detailed publication for the advanced gardener. What I like best about Emily’s book is that it bridges both realms: it offers practical advice for those new to gardening and offers ideas for more experienced gardeners. 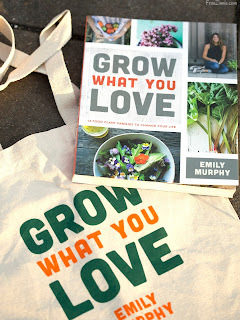 Emily Murphy’s love of learning and growing plants not only exudes from the pages of her new book, but also the fact that she cares – and wants others to be successful. 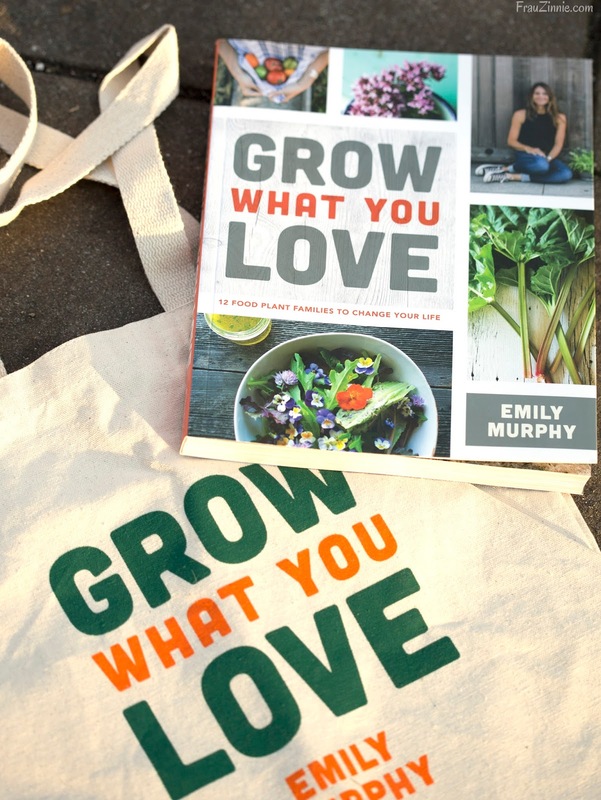 Emily has been offering a guiding hand for gardeners long before Grow What You Love landed on store shelves March 1. She is the gardener behind Pass the Pistil and very active on social media. I’ve watched her how-to videos on her website and admired her photography on her Instagram account. 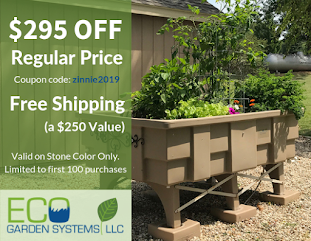 In fact, I’ve been following Emily since 2014 thanks to the gardening community that exists on Twitter, and from all my interactions with Emily, I've seen how she helps others become better gardeners by generously sharing information to help them succeed. “My work with writing and creating Pass The Pistil, were the first steps to set me on the journey to write this book, and it was spurred on by my own love of the simple act of growing,” she said. Gorgeous photography illustrates Emily's text. Above, a sneak peek at The Plant Directory. 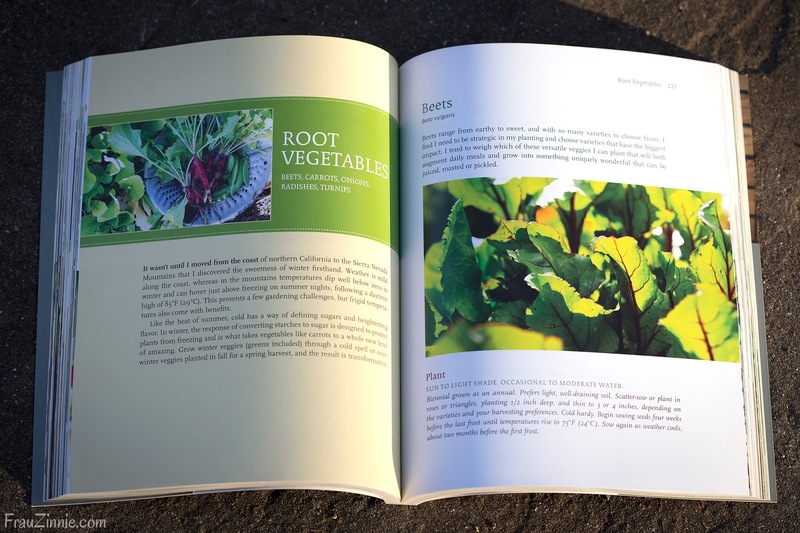 A wonderful feature of Emily’s book are the recipes she includes for the food she grows. I love how Emily offers suggested vegetable varieties to try, and within the same conversation offers a recipe to sample it in. 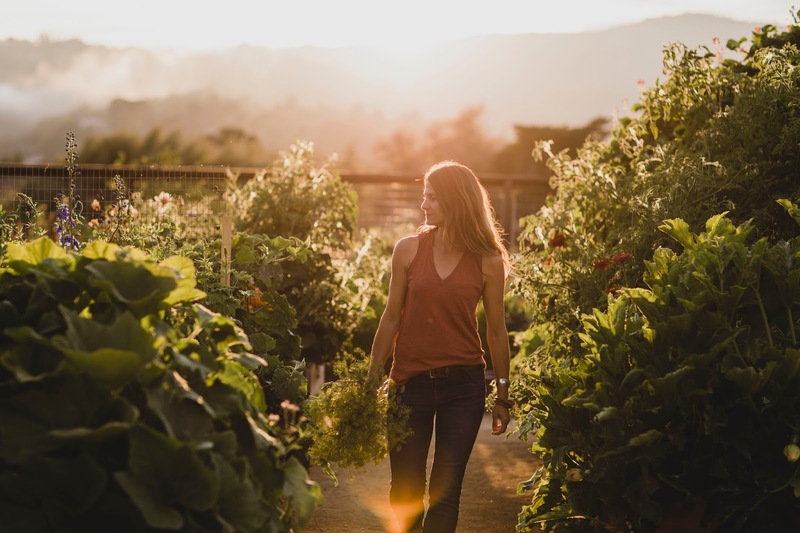 Emily has several garden-to-table recipes for readers to try, whether they grow the food themselves or buy it at the farmer’s market. Also included in The Plant Directory is a whole chapter on edible flowers and companion plants, including a long list of plants to try on page 204. 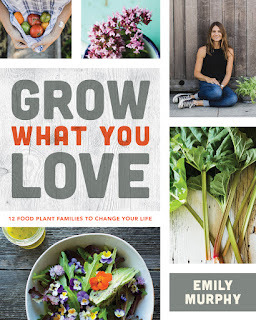 Filled with gorgeous photography and an easy conversational style, "Grow What You Love" is destined to join other great gardening books on my bookshelf, alongside Margaret Roach's "A Way to Garden" and James Underwood Crockett's "Crockett's Victory Garden." 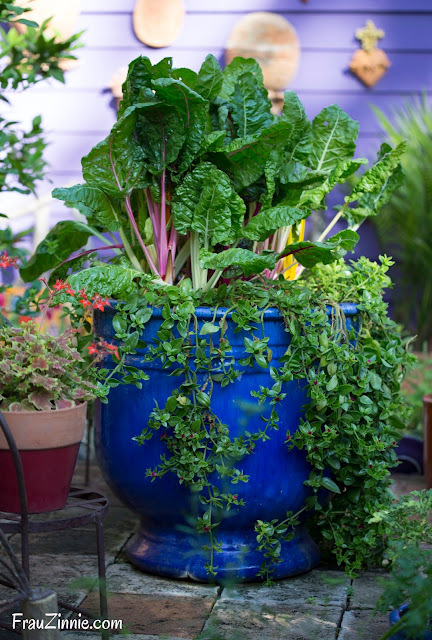 A photo from Emily Murphy's new book, "Grow What You Love: 12 Food Plant Families to Change Your Life." Photo courtesy of Firefly Books, Ltd; Photo Credit: West Cliff Creative. If you can’t wait to win a free copy – and let’s face it, it’s hard to wait for such an awesome book – you can find Emily’s book on Amazon and major booksellers. In addition, you can meet Emily in person – she’s participating in a variety of appearances in March and April. You can learn more about Emily at her website, and you can follow her on Twitter and Instagram.